I hope you are looking forward to a great holiday season and hopefully a welcome break as 2015 draws to a close. Here at Frame of Mind Films we have much to be grateful for—we've been super busy and productive and there’s much to tell in the New Year. As many of you may already know, I've been flying under the radar for the past two and a half years working on a series of one-on-one interviews with His Holiness the Dalai Lama at his home in Dharamsala for our next project together. 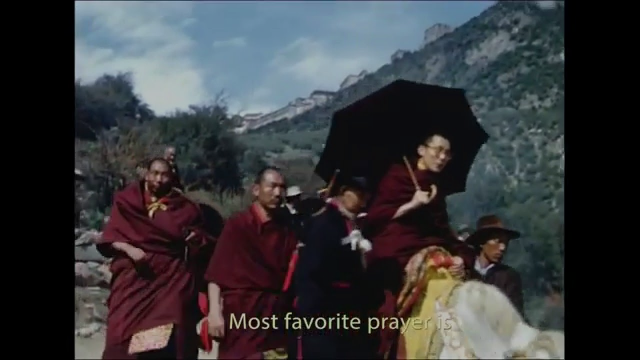 With his blessing and endorsement, our new film projects will help share His Holiness’ insight and life-affirming philosophy with audiences worldwide. In addition to all the production work that has been going on behind the scenes we’ve been busy assembling a talented team to support all our new projects in development. We’ve also been working to grow our community of supporters and to this end I am pleased to announce that Kath Delaney has joined our Frame of Mind Films family as our philanthropic and investor-relations advisor. As always, we’re thankful for your support during this season of giving. Stay tuned for more exciting news in 2016! P.S. In case you missed it. Recently, in the New York Times, Pankaj Mishra essayist and novelist wrote an extensive article about the Dalai Lama as an international icon of peace and compassion. The headline reads, The Last Dalai Lama?